Hydrolats (also known as hydrosols) are the natural waters collected during the steam-distillation process; a process that is used to extract essential oils from plant material. They have similar powers to essential oils, however unlike most oils, they are extremely gentle and can be used directly on the skin. Hydrolats are widely used for natural skin care and hair care, and are particularly useful where a non oil-based product is required. 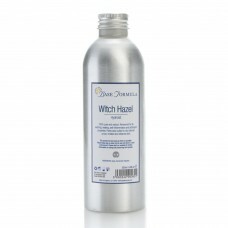 Hydrolats are commonly used for cleansing, and as natural toners to help balance and improve the condition of the skin. They can also be blended with a range of cosmetic bases including moisture creams, lotions, aloe vera gels and natural clays to make your own natural skin care products. Hydrosols are also excellent for use in therapeutic aromatherapy sprays and compresses. Base Formula Hydrolats are 100% pure and natural and do not contain any artificial additives, alcohol, preservatives or colouring. They are not to be confused with other ‘floral waters’ or 'flower waters' which are often created using synthetic compounds that compromise their therapeutic value. Please click here for information on storing and preserving our Hydrolats.